Our whirlwind trip ended up at Mr. Bills to pick up Rhema’s new KAFOs. Our trip to North Carolina and Knoxville was a wonderful hiatus from all the medical stuff that consumes our days and it was all over too soon. Back to reality, we met Mr. Bill and are ready for our next steps toward getting Rhema back up and mobile. Bill did a beautiful job on the KAFOs! Rhema was very fussy at first, much to Bill’s surprise who has never seen Rhema cry or fuss, but Bill turned on the “funny” and Rhema was back to smiling when I took this picture. 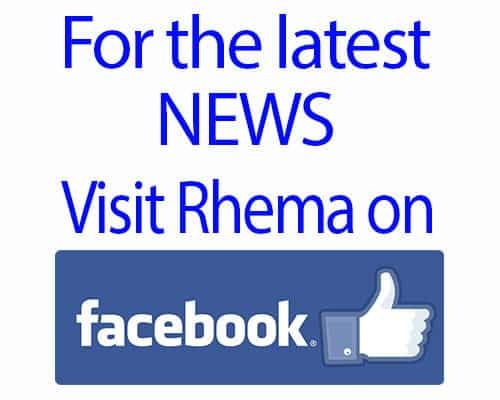 We stood Rhema up in the office and my first thought was “WOW! She’s grown!” LOL! 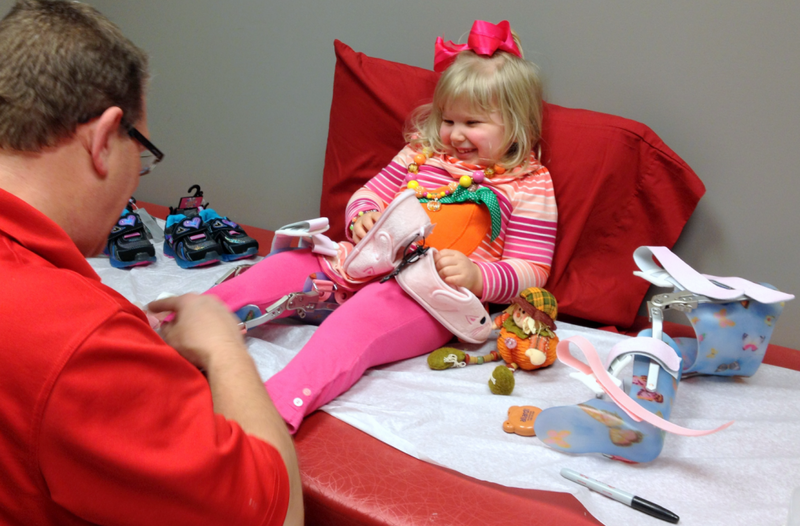 We are excited to being PT with these new braces and get some feedback from her PT staff. As we left Bills, we let Rhema hold them while we drove out to get some dinner. We think Rhema has decided they are okay so maybe she will not cry when we have to put them on again. It was funny, but Rhema has dubbed these KAFOs her “Robot Helper Shoes.” LOL! She played a game on her Gida’s tablet where these robots were running with large boots on; I think she thinks these KAFOs are the robot boots. If that is what she need to think to be positive about this huge change in her bracing, then yes, dearest Rhema, Mr. Bill is so awesome, he build you your very own set of Robot Helper shoes!!! Mr. Bill is just that awesome and loves you that much! 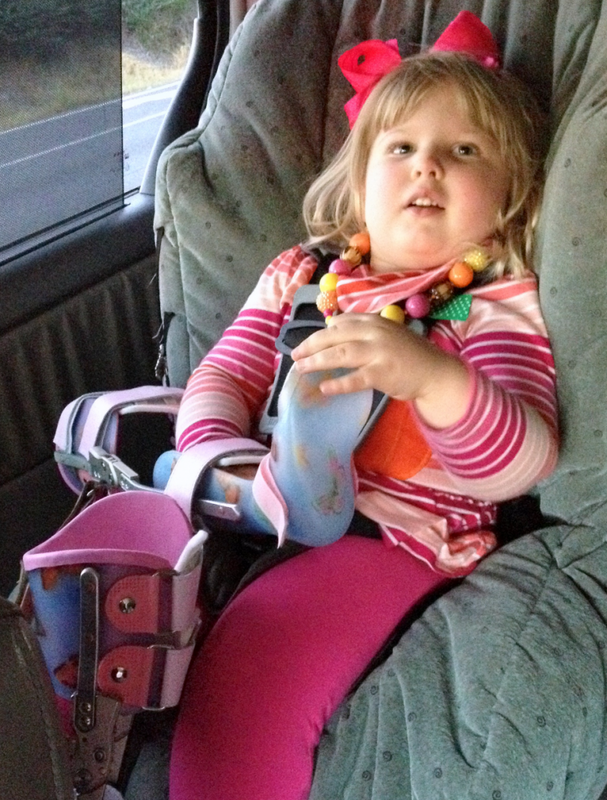 So, Robot Helper shoes, please help my Rhema get up and walking (or running) soon! The kid need some positive steps toward getting back up and not having to be in her wheelchair all the time. Let’s go Robot, GO!